1,500 journalists and media representatives. Check out the BAUMA Munich 2019 promotional video here. I’m always awed by the size and number of trucks, machinery and equipment at these events. My boyhood dreams come true! 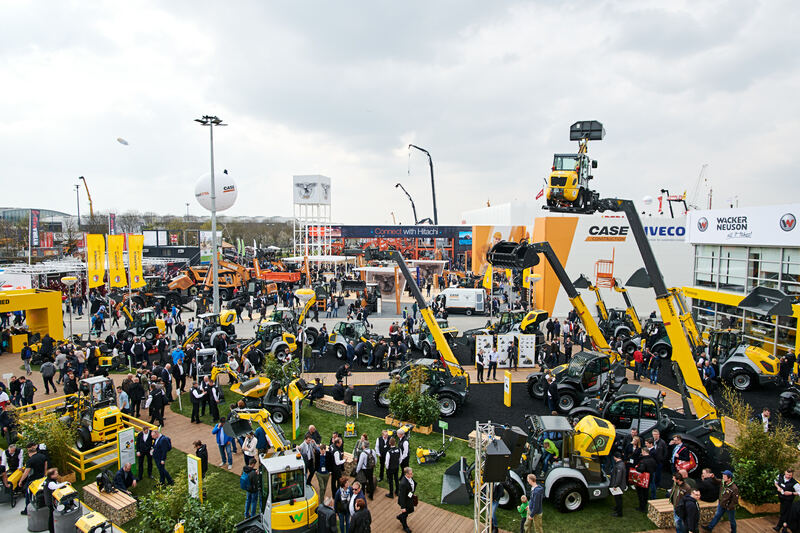 Bill Bowden Event Logistics is attending BAUMA Munich as the logistics partner of the Construction Equipment Association, the UK’s industry body. We provided transport and logistics expertise to 26 exhibitors from the UK and one from Italy. 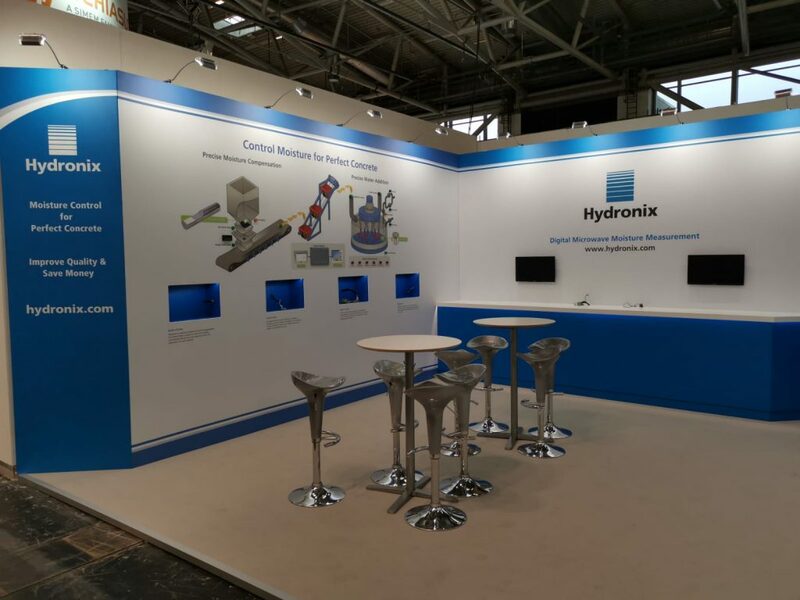 We sent over nine trailers in total and had a full team on site from 1st April to unload, build and test more than two dozen displays, including this one for our friends at Hydronix Ltd. This year was one of our biggest consignments to date and went remarkably smoothly. But we have done this a few times before! We’ve been helping members of the CEA to make a great impression at BAUMA Munich and BAUMA China for 20 years now, so we’ve encountered pretty much everything. After the weekend we’ll begin dismantling the stands and returning them to storage, either in our own storage premises or our clients’, ready for their next event, and eventually BAUMA China in 2020. Can we help you appear at the next BAUMA event? You don’t have to be a member of the CEA to use our services for BAUMA. Whether you’re a member or not, please email me directly at bill@billbowden.co.uk. I’d be delighted to discuss your needs and how we could help. ← How will Brexit affect the transport of your goods to events in Europe?